Do you know how to use wheat? Wheat is the most basic and versatile whole grain that you can store in your food storage. 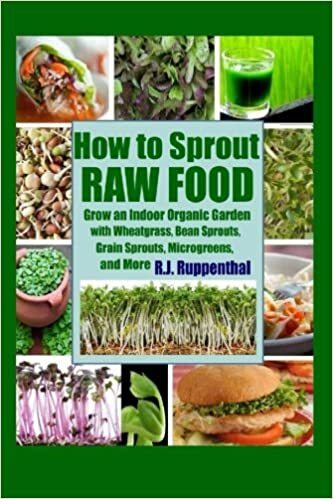 It is likely that many of you have wheat in your food storage already, but if you are anything like I was years ago, you may not know much about it. I’d like to solve that for you today and clue you in to what you need to know about how to use wheat. Unless you have Celiac disease, I highly recommend storing and learning how to use wheat. You Need to Know How Use Wheat and Then Use It! Yes, wheat has a very long shelf life. Most will say 25-30 years, but I’ve used properly stored wheat far older than that (60+ years) with great success. So, if it lasts “forever,” you might ask why use it now? Well, that is a fair question! #1 – Serving unfamiliar food in time of crises isn’t smart psychologically. You, and your family/kids, will already be stressed enough without having to eat foods you aren’t familiar with and don’t know how to use. You need to figure out what your family likes before you are forced to use it. 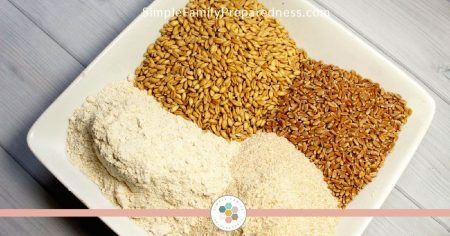 You also need to figure out how to use unfamiliar foods such as wheat before you are faced with a crises, and it is all you have to feed your family. But that is true of anything you choose to store. There is one additional reason to learn how to use wheat and then to eat that wheat now. #2 – If your family is not used to eating wheat and then they have to do so suddenly, it will wreak havoc on their digestive system. Obviously, this wouldn’t be fun, but it could also be quite dangerous, especially if quality medical care isn’t available. Wheat Becomes Flour – And you Likely Know How to Use Flour! Each piece of whole wheat is called a wheat berry or kernel. If you put dry whole wheat berries in a grain mill (a.k.a. wheat grinder), you get whole wheat flour. This means that if you know how to use flour, you know how to use wheat! You can make cakes, cookies, breads, rolls, breadsticks, pie crusts, and more! But the flour you make from wheat berries isn’t the same as the store bought all-purpose white flour you get at the grocery store–it’s better! Store bought all-purpose white flour has had all the nutrients stripped from it, and it is a simple carbohydrate (not a whole grain). Simple carbohydrates just add calories to your food, not nutrients. The whole wheat flour you will make with your wheat berries will be full of nutrients. .Note – Some links in this post are affiliate links meaning if you purchase after clicking on them, I will be given a small commission (at no additional cost to you). Learn more here about how I am (and am not) compensated, and thank you for your support of me and my family! Store bought all-purpose flour and home ground whole wheat flour have a short shelf life, but wheat berries have a very long shelf life (25+ years). Flour is also more expensive per calorie. For these reasons, I don’t recommend storing too much flour. Instead, store whole wheat and a grain mill. This will allow you to provide your family with flour whenever you need it. The Hand Grain Mill is the mill that I started with. I had it for emergencies only to be honest. I tried using it a few times and it took a LLLOOONNNGGG time (and a lot of arm strength) to grind enough flour for a loaf of bread. But it is inexpensive, well made, and creates great flour. If your budget is currently limited, this is a decent option. 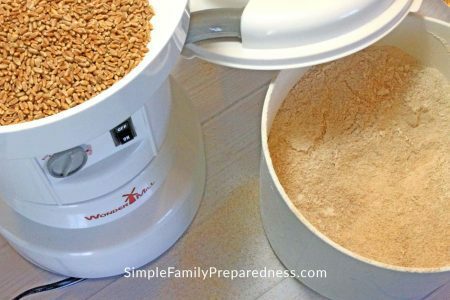 I now use the Wondermill Electric Grain Mill to grind my own flour from wheat. It is crazy fast, easy to clean, and creates beautiful flour (you have control over how coarse/fine). This has allowed me to really use my wheat more often as it isn’t such an involved process to grind up my wheat. Last, I also now own Hand Grain Mill. It is 20xs faster than the smaller one I used to own. It will grind 6 cups of flour in just 5 minutes and doesn’t leave your arm feeling like rubber! You can adjust it from super fine to cracked grains. You can also get a bicycle attachment that allows you to grind wheat into flour while riding a bike and/or a drill attachment that allows you to use a hand drill to run the mill. Just as important as how to use wheat is how to store it. Wheat should be stored in a sealed #10 can with an oxygen abosorber or in a mylar bag with an oxygen absorber that is then placed inside of a five-six gallon bucket. You can read more about how to do that here. Once it is properly packaged, wheat should be stored where it is cool, dark, and dry. 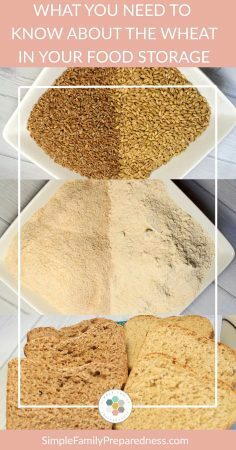 Once you open a can of wheat and grind it into flour, you will need to use it quickly as whole wheat flour can go rancid within a few weeks to a few months depending on heat and humidity. Pro tip: You can store whole wheat flour in your freezer and extend the shelf life up to around six months. When I first started working on food storage back in 2007, I had no idea that there were different types of wheat! This one fact is HUGE when it comes to learning how to use wheat! There are four main types that I will touch on today. Hard wheat has more protein and is better for making breads. On the other hand, soft wheat has less protein and is better for pastries and pastas. White wheat was an exciting discovery for me! It is golden in color and naturally sweeter and less bitter than red wheat. It works best in pan loaves, rolls, and other soft breads. Finished breads look more similar to breads made with 100% white all-purpose flour but still have all the nutritional content of red wheat breads. Yes, the are both whole wheat. White wheat is simply missing the genes for color. It does have slightly less protein, but the difference is negligible. While grinding wheat into flour is a great way to use wheat, you don’t have to grind wheat to use it. You can use the berries themselves to make a highly nutritious breakfast cereal. Simply soak your wheat berries overnight, and then rinse them in the morning. Add three cups of water per cup of wheat berries and bring to a boil. Simmer for one hour. Add honey, milk, and freeze dried fruit (affiliate) to your liking! If your family eats of lot of rice, substituting wheat for rice can be a great way to occasionally add wheat into your diet. Just add two cups water to every one cup wheat berries and simmer for 45 minutes. The softened wheat berries work well anywhere you would use rice. Wheat gluten has a lot of protein in it, so it can be used as a meat substitute. This is a very lengthy process though, and I honestly don’t love the taste of the finished product. However, it is good to know–especially if you aren’t ready or able to store real meat in your food storage yet. Basically, you go through a process that separates the gluten from the rest of the wheat to create a substance that is similar to hamburger (and with just a much protein) called seitan. If you want to give it a try, you can find a quality article (with lots of great pictures) that will show you how HERE. Alternatively, you can simply add bouillon to cooked, cracked wheat berries for a meat extender. It won’t taste as close as the seitan, but it takes far less work. The best and least expensive place to buy wheat is from the LDS Home Storage Center. You can see if there is one near you here. If not, you can order both hard white wheat and hard red wheat on their website. Still Have Questions about the Wheat in Your Food Storage? I’d love to hear them! Leave me a comment below, and I will get back to you in a few days! Save this for later and share it with others by pinning it! Any suggestions to make lighter/fluffier baked goods using fresh ground flour? I don’t get much rise either red or white. The bread or rolls are much more dense / rough, nothing near the nutrition-void flour from the store. Of course it taste great, especially after sprouting but just can’t get my bread, rolls, pie crust (forget it) soft and fluffy. Try adding wheat gluten Aj (http://www.amazon.com/Bobs-Red-Mill-Gluten-22-ounce/dp/B000EDK5LM/ref=as_li_ss_tl?s=grocery&ie=UTF8&qid=1517691062&sr=1-4&keywords=wheat+gluten&th=1&linkCode=sl1&tag=frugalicious-20&linkId=6d45c305a0e50830c7648ee8ff197e66). Also, you could substitute a bit of white flour for the wheat – even just a little will help. I use a vitamin C powder to fluff it up. The person who sold me my wheat grinder told me about it. I buy mine from Radiant Living. Just a pinch will make it softer and fluffier. As far as rise goes, prof your yeast and let it rise quite high before adding to your dough. To proof add warm water, yeast and honey to a glass bowl and set it someplace warm to sit-sometimes up to 20 minutes. Then fold it into your dough. I have never ground my own flour! And I really only bake cookies and cakes right now… Is the berry to flour volume the same? So, one cup berries gives one cup flour? My local co-op offers berries and a grinder so I may practice with that before going for the full system! I’ll try my hand at some bread! No volume is not the same Carrie. You will get about 1.5 cups flour for every 1 cup wheat berries. I pressure cook wheat berries, rye berries, brown rice and many other kinds of whole grains, doing those that take the same length of time to cook together. So this usually takes me about 3 different pressure cooker batches, around 9 or 10 grains total. Then I mix them together, adding herbs and spices as I feel like, and also dried fruit or sun dried tomatoes. Dried cranberries are a favorite. Then I package meal size portions in zip plastic bags, pat them flat and freeze. They are easy to thaw and warm at mealtime. With all the cooking, mixing and dishwashing done all at once for about 12 meals worth, it saves a lot of time and effort, and makes the whole “using the grains” a much easier process. This is wonderful. Really useful. I had no idea about wheat berries and I am excited to start cooking with them. I wondered if there are storage issues people should be aware of. What do you mean by storage issues Carm? How long it can be stored? If stored appropriately (no moisture) with an oxygen absorber, wheat will last 30+ years. I put about 1/2 cup of wheat to 1 1/2 cups of rice when I cook it. I figure it helps keep it in our systems -and- it looks pretty. Great info here thank you for sharing! Love this idea! I assume I should use brown rice so the cooking time is similar. Correct? Very informative. Thank you, Misty! You are so welcome Cindi! Why do you like the Wondermill over the Nutrimill? I have a Bosch mixer. Is there a wheat grinder for that machine? Great question! The Wondermill and Nutrimill are equal in every way. I just got a better deal on the Wondermill so it is the one I own and therefore feel most comfortable recommending.